Wood floors add to the warmth and beauty of interiors, which is why they are so sought-after by homeowners. Although high-quality flooring is kiln-dried to add strength and durability, surfaces can still become dull with regular wear. According to the team at Robert Petit Hardwood Flooring in Rochester, NY, hardwood floor refinishing is an effective, efficient solution to restore the gleaming appearance of your investment. Here, Monroe County’s premier flooring contractors share a few advantages of having the surfaces refinished. 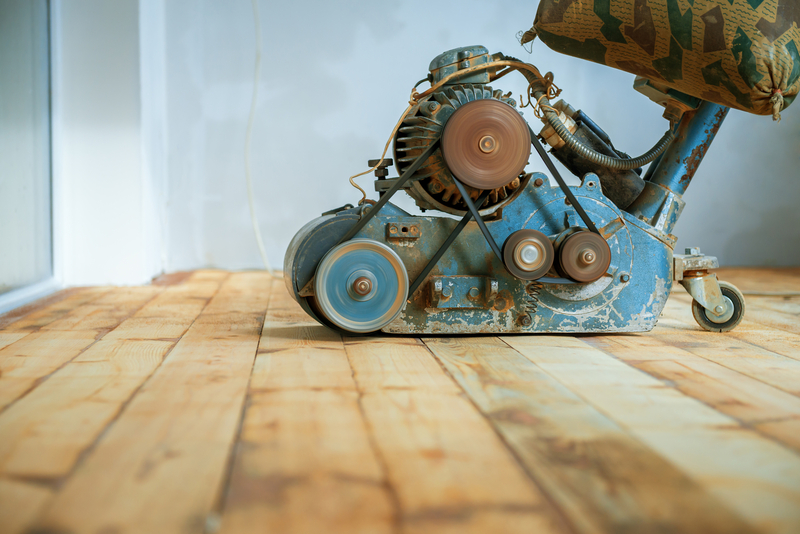 If floorboards are dented and scuffed, or sealants are peeling, refinishing the affected areas is much less expensive than replacing the entire installation. With flooring replacement, you must pay for the cost of new hardwood slats and installation fees. Hardwood floor refinishing involves buffing or sanding the surfaces to remove imperfections and then staining the wood and applying sealants to restore its color and luster. Beyond repairing surface damage, hardwood floor refinishing can also make the investment more eye-catching. The natural coloring often appears richer and glossier when polyurethane coatings and varnishes are applied, while sealers bring out the textures in the wood grain. If you ever plan to put your home on the market, newly refinished hardwood floors are enticing to potential buyers. Many people are willing to pay more for properties with hardwood floors in top condition, which means you could raise the asking price. If there are dents or deep scrapes in hardwood, continuing to walk on the surfaces will only make the damage worse. Over time, the pressure could weaken the integrity of the boards and cause them to split or splinter. The wood could also start to deteriorate and attract pests to your property. Hardwood floor refinishing completely removes the imperfections to prevent further damage and ensure the investment will look great for years to come. If you want to take advantage of the benefits hardwood floor refinishing provides, the contractors at Robert Petit Hardwood Flooring have the tools and training to deliver impressive results. For a free service estimate in the Rochester metro area, call (585) 489-8216. Visit the technicians online to discover how they will restore the quality of your flooring, and follow them on Facebook to see pictures of completed projects.